Where to Buy: Boston Tea Co.
Apricot? Why not? 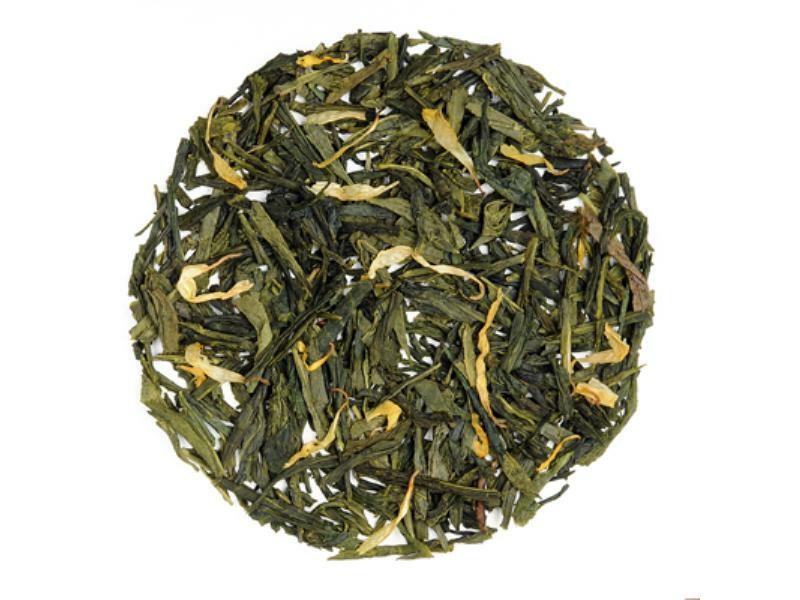 Our whole leaf premium Chinese green tea is wonderfully enhanced with the delicate fruity essence of dried apricot bits and other natural flavors, leaving a light, refreshing cup of anti-oxidant rich tea. Take a cup with a spoonful of honey for an even sweeter sip! Yes, I know that summer is almost over… but this tea reminds me so much of summer because it’s apricot – one of my favorite summertime fruits! The green tea is rich and delicious, and really does dominate the cup (and that’s a good thing!) I can taste notes of butter and vegetable – and imparts a flavor in my mouth that is similar to that of steamed and buttered vegetables. This is but one note in a complex series of flavors but it’s there and I’m really enjoying it! The apricot flavor is a bit more delicate in comparison to the green tea flavor. But that’s ok -because, well, this IS a green tea that I’m drinking! The flavor of the apricot seems to intensify as I continue to sip it. It reminds me of the taste that I experience when I bite into a fresh, ripe apricot. Juicy and sweet! Delicious! I really like how the green tea flavor and the apricot flavor complement each other in this tea. It is delicious and satisfying. YUM! As the description from Boston Tea Company suggests, it is really delightful with a drizzle of honey – but I think it is really good without the sweetener too – so it’s all about personal choice on that one… I do recommend a little bit of sweetener if you’re going to ice this one because it really livens up the flavors. And this is a tea that you will definitely want to serve iced! It’s perfect!